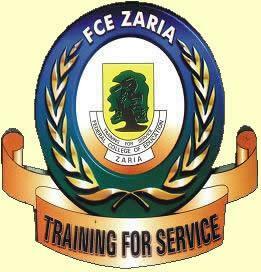 Federal College of Education (FCE) Zaria Freshers / Newly Admitted NCE and Degree Students Online Registration Exercise and Guidelines for 2018/2019 Academic Session. This is to inform all the candidates offered admission into the Federal College of Education (FCE) Zaria NCE and B.Ed/B Sc (Ed) programmes for the 2018/2019 academic session that they can now proceed with the registration process. Admitted candidates are urged to accept their admission via the JAMB CAPS Portal and Proceed to Print their JAMB Admission Letters before proceeding to the college website for their registration. i. Visit Federal College of Education, Zaria website www.fcezaria.net, Click on admission status and type in your JAMB Number to print your admission letter of the College. ii. Then click on pay via Remitta to generate Remitta Reference Number for NCE 1 Registration 2018/2019 and proceed to make payment. iii. Use Remitta Reference Number as password and Direct Entry (JAMB) Registration Number as username to login for course registration, respectively. iv. Print bio-data which will contain personal information and student registration number (EZ Number) and go to Academic for final documentation. Candidates are expected to do their registration with immediate effect to ensure smooth admission process.